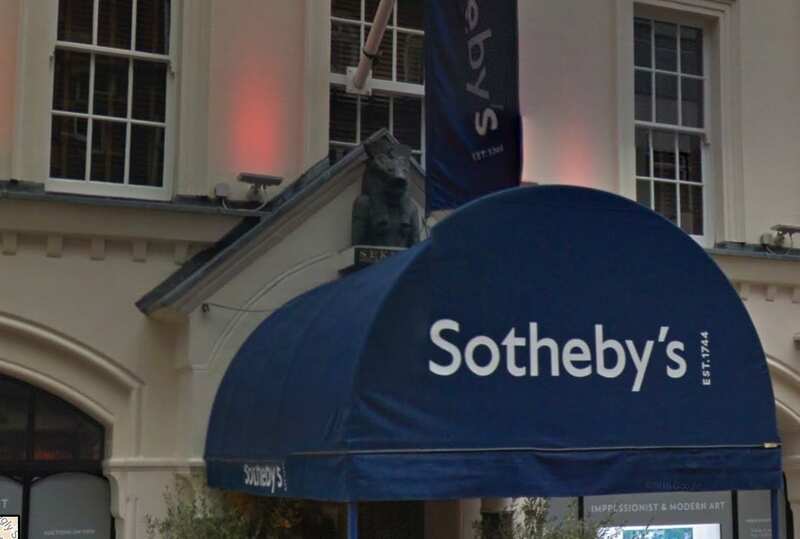 Above the entrance to Sotheby’s auction house on 34-35 New Bond Street W1 is an ancient Egyptian statue of the lion-goddess Sekhmet. The black basalt effigy dates to around 1320 BC and was part of a collection of artefacts that came to Sotheby’s for auction in the 1880’s. The lot was sold for £40, but the buyer never appeared to collect the statue and as such, has remained in care by Sotheby’s ever since. In 1917, Sotheby, Wilkinson, and Hodge moved its business offices from Wellington Street in London, to 34/35 New Bond Street. At the time of the move, company employees carefully detached the black basalt bust of the lion-goddess from Sotheby’s Wellington Street offices and installed it over the front entrance of the firm’s new premises. In Egyptian mythology, Sekhmet is a warrior goddess as well as goddess of healing. She is depicted as a lioness, the fiercest hunter known to the Egyptians. It was said that her breath formed the desert. She was seen as the protector of the pharaohs and led them in warfare. Sekhmet is also a Solar deity, sometimes called the daughter of the sun god Ra and often associated with the goddesses Hathor and Bast. She bears the Solar disk and the uraeus which associates her with Wadjet and royalty.